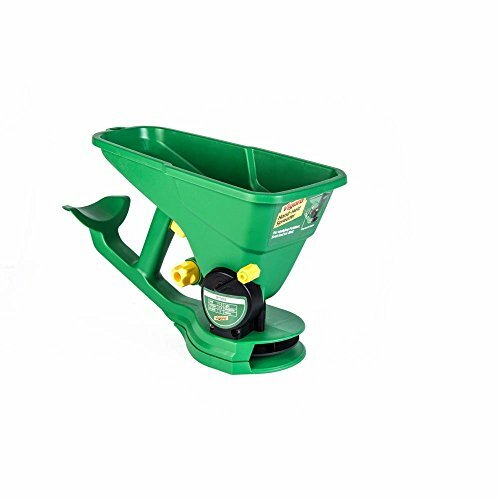 The hand spreader is ideal for spreading up to 1,000 sq. ft. of fertilizer, seed or ice melt in a single load. The ergonomic grip and arm support provides maximum comfort, and even load distribution while reducing wrist fatigue as spreading. The oversized crank along with a sealed gear box reduces clogging and allows for the most consistent distribution in the market. With 5 settings material can be dialed into the exact desired distribution rate and the broadcast wheel ensures even coverage up to 5 ft. W.